Eagle T210-SS - Berran Industrial Group, Inc. 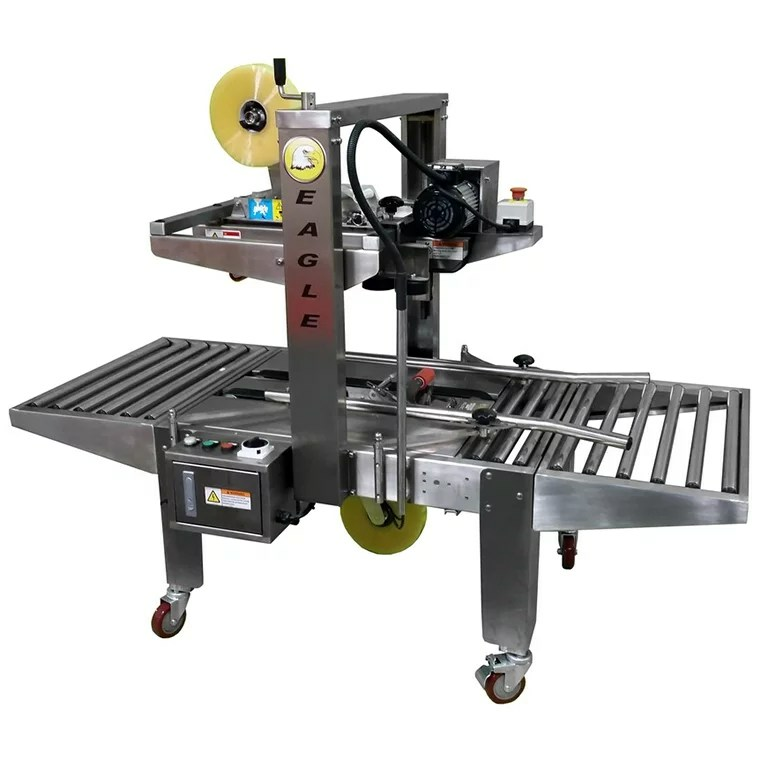 This machine has powered top and side drive belts that that make it easy to tape the top and bottom on your carton. Also, this heavy duty stainless steel construction provides extreme durability. 38.2" x 35" x 50.3"